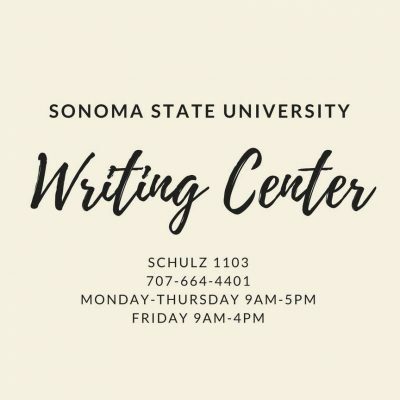 Sonoma State University’s English Department and Writing Center, in collaboration with University Elementary at La Fiesta, bring you a community literary journal documenting the recent tragedy experienced by our community. This has been a tragic, yet beautiful moment in our local history that should be documented in a meaningful way: from lost homes, loved ones, and landmarks, to the compassion, resiliency, and generosity that emerged in our community following the fires. 100% of profits from sales of this journal will go toward fire relief efforts! We are accepting submissions of artwork, personal narratives, photography, and poetry related to the fires and their aftermath now through February 1st, 2018. **Update: Deadline extended to March 1st, 2018!